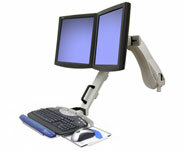 This combo solution holds two monitors and a keyboard on the same arm, providing easy, single-motion height adjustment. Mount not included. Order Vertical Mount Base separately (60-378-180). Adjusts 15" vertically accommodating a wide range of user heights. 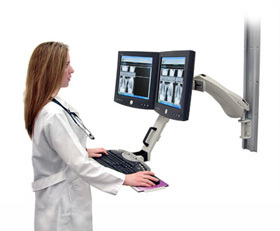 Maintains the relative position of screens and keyboard throughout full range of motion.